Yes, indeed, this is a great time of year because it's the month when the big three of sports converge--football, basketball and baseball. Football has been going on already; in fact, it's one-quarter of the way through the season. We in Charlotte have been watching our beloved Panthers struggle (pleeeaasseee don't get me started on last Sunday's game) but you'll find most of us glued to our sets every time they play. The Charlotte Bobcats start playing this month. OK--if you want to get technical, those are preseason games, but still, it's basketball! And it's hard to believe that, in this month of cool weather and falling leaves, there's still baseball. The World Series will be upon us in about three weeks. Now it seems to me that baseball is always associated with summer and should stop when things turn cold. 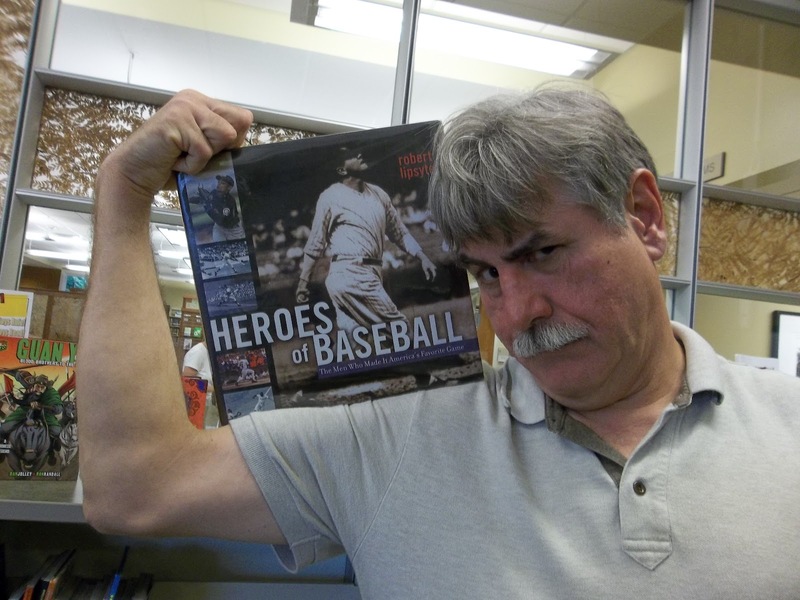 But, doesn't matter--baseball is still the great iconic American sport. I just love reading about its colorful history and its larger-than-life characters. Here are a couple of really good books about the early days the official sport of summer. You can watch baseball on TV but there's nothing like actually seeing a game in a real ballpark. 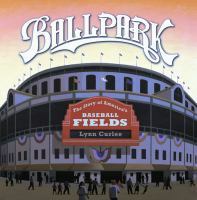 This fascinating and beautifully-illustrated book gives a history of baseball parks from their very beginning. Find out why each ballpark is unique and why there is no standard way to build them. There's also a lot of interesting things to learn--the history of baseball, when New York was the "capital of baseball," how baseball invented Astroturf, and which pre-WWI ballparks are still around. This is a very interesting read. The Iron Guy Seal of Approval as One Terrific Book! That's some of the nonfiction about baseball. I'll write a post soon on baseball fiction and then some books on football and basketball. Stay tuned, sports and reading fans!